1. The information system operators in which the personal data of the Client are processed is AUTOFIS and ET Slovakia, whose identification data are listed above. 2. 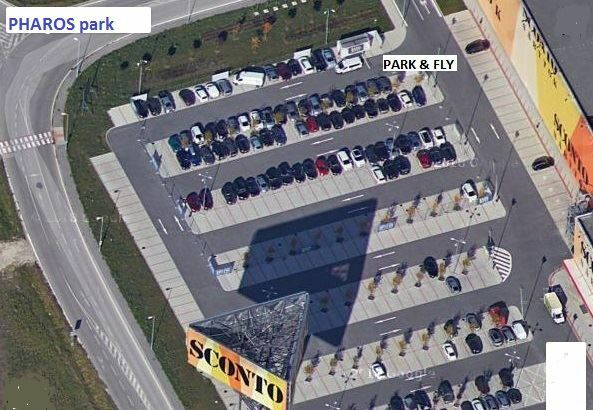 The purpose of processing Client's personal data is to provide AUTOFIS or ET Slovakia, in particular to operate parking and parking areas, and to offer other services in the form of newsletters. 3. The legal basis for the processing of Client's personal data is first and foremost the performance of the contract, which is the provision of AUTOFIS or ET Slovakia, measures before the conclusion of such a contract. The second legal basis for the processing of personal data of the Clients is the legitimate interests of AUTOFIS and ET Slovakia, consisting of the right of the entrepreneur to inform current Clients about current services by sending a newsletter. 4. AUTOFIS and ET Slovakia keeps personal data of the Client for 5 years from the termination of the provision of services to the Client, longer, in accordance with the appropriate legal filing periods, if the data are part of the outputs (eg accounting documents) that are archived. 6. The provision of Client's personal data is necessary for the performance of the subject matter of the contract under which AUTOFIS or ET Slovakia provides its services to the Client (whether or not it was written in writing). The client is not obliged to provide AUTOFIS or ET Slovakia with personal data, but in this case AUTOFIS or ET Slovakia will not be able to provide its services to the Client in its entirety. i) adequate guarantees of the transfer of personal data if transferred to a third country. At the same time, AUTOFIS will provide the Client with a listing of personal data processing it in such a way, as requested by the Client. 2. The right to correct personal data. If the Client requests AUTOFIS or ET Slovakia to correct his or her personal data, AUTOFIS or ET Slovakia will make this correction without undue delay and the original data that AUTOFIS or ET Slovakia will correct will be erased or deleted if possible. In the case of paper documents, the original data will remain preserved, but the correction will be taken into account in the data base or in another document (eg, a record of the repair of personal data). (f) personal data obtained in connection with the AUTOFIS or ET Slovakia offer through IT (Internet, e-mail, telephone). (f) the exercise of a legal claim (for example, AUTOFIS has a claim against the Client and the deletion of its data would make it impossible to use it). d) If the Client objects to the processing of personal data, AUTOFIS or ET Slovakia will restrict the processing of personal data until the validation of AUTOFIS's legitimate reasons prevails over the Client's justified reasons. 5. Right to the portability of personal data. If AUTOFIS or ET Slovakia applies to AUTOFIS or ET Slovakia to request the publication of its personal data in a structured, commonly used and machine readable format, AUTOFIS or ET Slovakia will accept the request if the data are processed by automated means (eg PC) and if the applicant explicitly AUTOFIS or ET Slovakia may transfer such data directly to another operator. 6. The right to object to the processing of personal data. As AUTOFIS and ET Slovakia process personal data based on the legal basis of AUTOFIS or ET Slovakia's legitimate interests (sending a newsletter to the Client) which can be considered as direct marketing, AUTOFIS and ET Slovakia have an obligation if the Client objects to the processing of his personal data for this purpose (direct marketing) do not continue to work. In other words, such AUTOFIS or ET Slovakia will not send this newsletter to the Client and will remove it from the mailing list for the newsletter. 7. Confirmation of data protection rules. I have read these data protection rules with detailed information, I have understood them and I agree with them.